We can carry out all your electrical repairs and faults in the home. We are NICEIC registered and Part P registered with over 20 years experience in finding faults and repairing electrical problems. Below is a detailed list of services we are often called on to provide for householders. If any assistance is required please do not hesitate to contact us. Call now on 01482 440210 or email on info@abbeyelectricalservices.co.uk. 1) Repairs to faulty lights and switches. 2) Loss of power / fuse blowing. 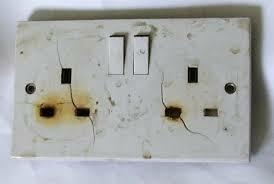 3) Loose or damaged sockets. 4) Sockets and lights not working. 5) Bathroom fan not working. 7) Flood & Accidental Damage. 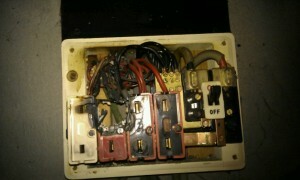 8) Electrics tripped due to water leak /rain.